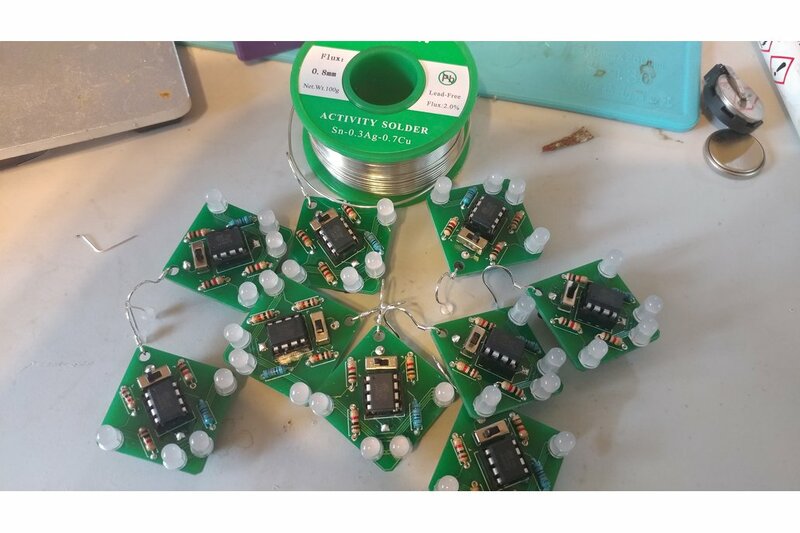 These are RGB Ear Rings that use the ATTINY85 MicroController. KIT - You get two sets of parts to make your own ear ring set. The ATTINY85 is already flashed and tested. FULLY ASSEMBED - a set of two fully assembled and tested. BOARD ONLY - You get two lead-free boards, that's it. These are RGB Ear Rings that use the ATTINY85 MicroController. These are un-assembled, but I do have the option for an assembled set. 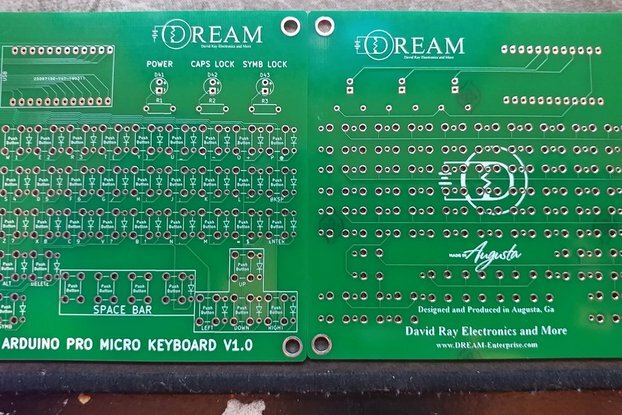 The un-assembled set will come with the ATTINY85 already programmed with my default code. 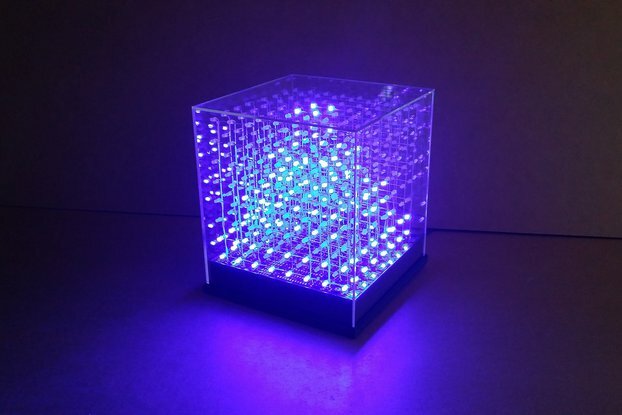 I built an LED matrix on it so the top two RGB sets are paired together and so are the bottom two. You can control them individually though. They come with a demo software that will cycle through several colors and then it will cycle the same for the bottom pair and then the top pair. It is fully re-programmable. All components are through hole. The board is RoHS Compliant Lead-Free. The solder I used is also Lead-Free. It uses a CR-2032 battery and has an on-off toggle switch on the front. This is my first attempt at a wearable. I really wanted to try to take my experience designing with the ATMEL processors and make something people would want. I think I did that here. The boards are 1.5 Inches from end to end. BOARD ONLY - This is for two lead-free boards, that's it. 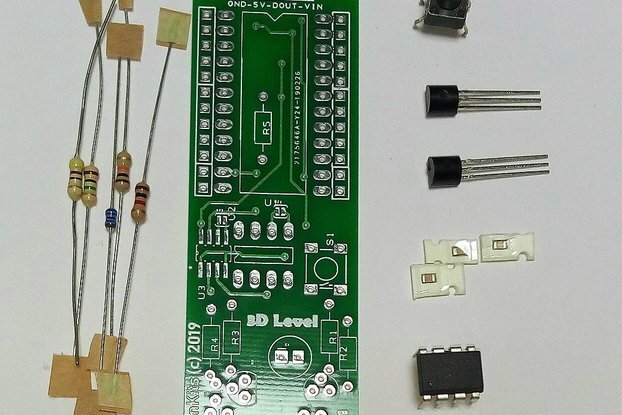 You have to provide your own common anode RAGB RGB 5mm LEDS, ATTINY85, resistors, and battery holder. KIT - You get two sets of parts to make your own ear ring set. 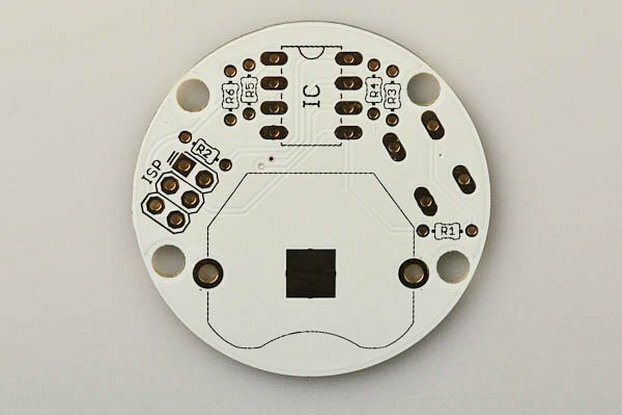 The ATTINY85 is already flashed and tested. FULLY ASSEMBLED - A set of two fully assembled and tested. Designed and Produced in the Augusta, Ga area. This is for local pickup ONLY from Augusta, Ga USA. Do not select this option if you can not pick up the item from Augusta, Ga USA.